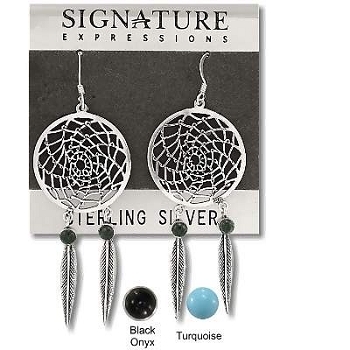 Sterling Silver .925 Dream Catcher Dangle Earrings with Feathers and two turquoise or black onyx stones per earring. Orders will be packed in either turquoise or black onyx. If you require specific stones enter the stones in the text box on the description page or at checkout. We will do our best to meet your request. The earring display pad in the picture is not included. 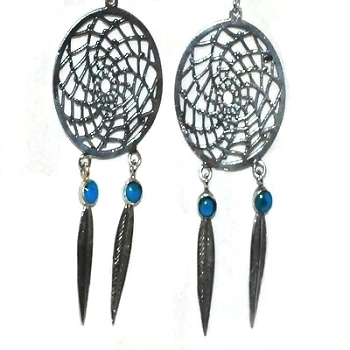 Earrings are sold by the pair. All measurements are approximate.